Proper attic ventilation is an extremely important part of an energy efficient home. In summer months, proper attic ventilation provides important air circulation by drawing in air from soffit vents and carrying it out of the attic through vents or attic fans on the roof. This air circulation helps lower the overall temperature of an attic space by carrying out the heated air that collects in the attic space. By cooling your attic space, your air conditioning costs are lowered. In winter months, adequate attic ventilation is crucial to carry out warm moist air that, if left unmanaged, could lead water condensation resulting in wood rot and the growth of mold and mildew in the attic space that is harmful to breathing. Effective attic ventilation provides a cooler attic in the summer and a drier attic in the winter. We promote and install Attic Breeze and Cardinal lines of solar attic fans which continuously remove attic heat and moisture buildup throughout the day creating a more comfortable home that requires less energy to cool. Attic Breeze manufactures many types of energy efficient attic ventilation products for both residential and commercial applications. Their solar attic fans, on average, pull out almost twice the amount of air (CFM’s) than other solar and powered attic vents on the market. And when it comes to warranties, while most competitive products only offer between a 3 and 5 year warrant, Attic Breeze offers a LIFETIMEwarranty on most all their products. Attic Breeze solar-powered attic fans work efficiently to remove attic heat making a home more comfortable while using less energy resulting in lowered utility bills. And because it runs on solar energy, you’re entitled to a 30% TAX CREDIT on the cost of the attic fan plus installation costs. Attic Breeze Solar attic fans continuously remove attic heat and moisture buildup throughout the day creating a more comfortable home that requires less energy to cool. 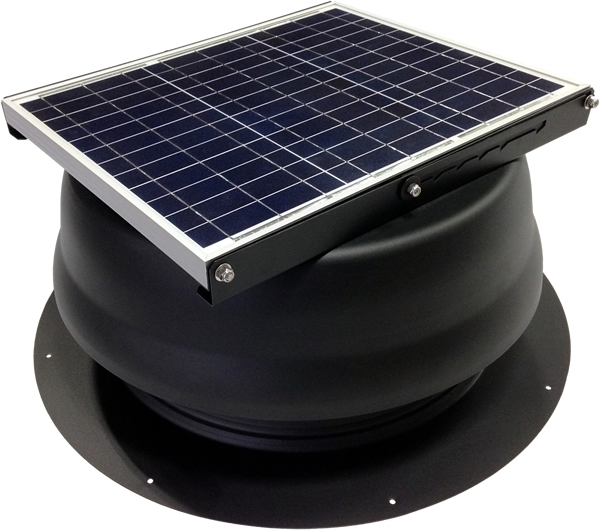 Attic Breeze solar attic fans, on average, pull out almost twice the amount of air (CFM’s) than other solar and powered attic vents on the market. Attic Breeze offers a LIFETIME warranty on most all their products while most competitive products only offer between a 3 and 5 year warranty.